Cherry and almond flavors blended with smooth, sweet green tea! Excellent green tea blend with a strong aroma with a pleasing body and delightful mouth feel. A divine tea fit for the gods. 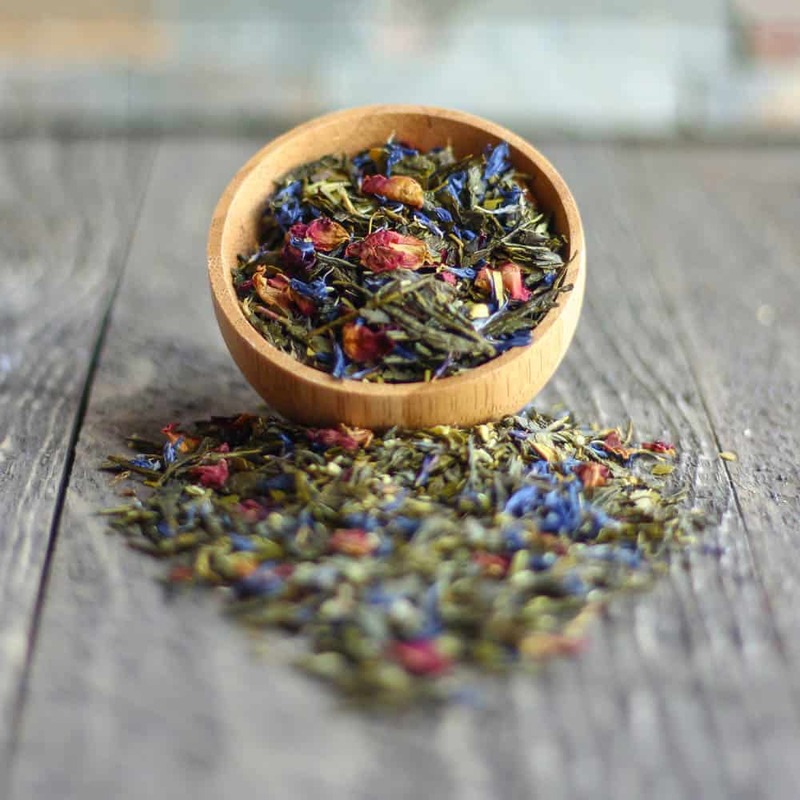 Green tea (56 %), green mate, coconut shreds, flavoring, rose petals, cornflower blossoms. MAY CONTAIN NUTS.